Seek advice on how to make a special object. I seek workflow advice on how to make the special object I have shown in this sketch. The object need not look exactly like the sketched one, but the general idea is that it looks like a cylinder from a certain perspective, yet has weird organic cookie cutter edges protruding from the back of the cylindrical surface, and even extending down and forward from the cylindrical surface. I'm new to hexagon and 3D modeling in general. 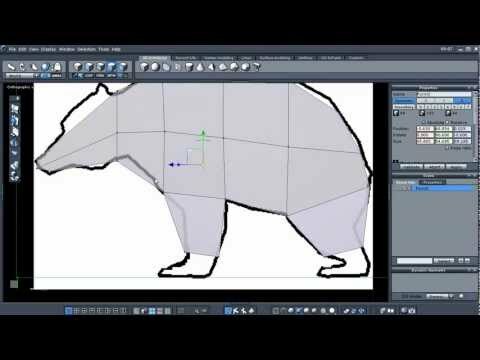 My old friend Johnny Bravo did a video tutorial which will show you how to get started on this project. After you have the basic shape all you have to do is add thickness (and tweak it where needed).